I am pleased to address the high level meeting of NAM on Human Rights and Cultural Diversity. Let me begin by appreciating the efforts of the Bolivarian Republic of Venezuela in leading and coordinating the work of the Non-Aligned Movement. Since the inception of the Movement of Non-Aligned Countries, states from various political affiliations and diverse societies have joined this movement. Today, it is clear that more than half a century since the founding of NAM, our world has changed immensely. Yet, what has not changed is the significance of NAM’s founding principles: solidarity, peaceful co-existence, multilateralism, and independence. Afghanistan, with its important strategic location in the heart of Asia, sits at the crossroads of diverse cultures. We fully embrace our democratic institutions and diverse citizenship by promoting and protecting the rights of all, irrespective of ethnicity, gender, religion, language, or social class. Our ancient heritage as a center of learning and trade, including our archeological wonders, like pre-Islamic Buddha relics as well as Islamic sites, speak of a glorious cosmopolitan past, which we treasure and aim to preserve for the future generations in a spirit of solidarity and cooperation. However, we have been plagued by imposed conflict for decades. Terrorists and violent extremists continue to attack our soil, which threatens not only innocent lives and property but also hinders protection and promotion of human rights, cultural diversity, social harmony and peaceful coexistence. While we have taken every measure to engage in dialogue and promote a meaningful peace process, it can only prosper in a situation where terror subsides and peace prevails. Despite the challenges, the international community’s generous display of solidarity and support, exemplified through a shared global effort in Afghanistan, has led to tremendous progress in our country and provides a clear example of the benefits of cooperation. With the support of our allies, we are working to strengthen Afghanistan’s ability to further promote regional ties and strengthen economic cooperation. Recalling a shared legacy of the Silk Road, we remain dedicated in our efforts to promote human rights and cultural diversity, not just through words but through effective actions. At the international level, we are signatories to several human rights conventions and treaties. As members of UNESCO, UN Alliance of Civilizations, and other relevant UN bodies, we engage proactively with the international community to preserve our common lineage. 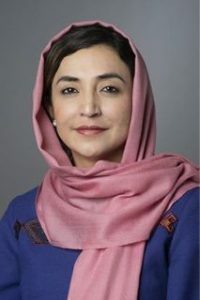 Afghanistan is also a co-sponsor for the GA resolution on International Day of Nowruz, which celebrates the power of culture and heritage to build resilient and sustainable societies. At the regional level, through Afghan led platforms like Heart of Asia Istanbul Process and the Regional Economic Cooperation Conference on Afghanistan, we are promoting regional economic cooperation and fostering socio-cultural exchanges. Through multiple projects with regional countries, like the recently signed Lapis Lazuli Route Agreement among Afghanistan, Azerbaijan, Georgia, Turkey, and Turkmenistan, Chabahar Agreement with Iran and India, Five Nations Railway Corridor connecting China, Kyrgyzstan, Tajikistan, Afghanistan, and Iran, and others, we are promoting broad opportunities for growth in South Asia, Central Asia, the Middle East, Eurasia, and beyond, which in turn can provide incentives for peace and strengthen diversity. As we speak here today, President Ashraf Ghani is in Baku, attending the 7th Heart of Asia Conference, with a focus on regional peace and stability. 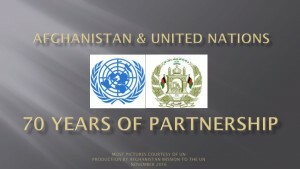 At the national level, promotion and protection of human rights is a constitutional obligation and a priority agenda of the Afghan government. Our first time seat on the Human Rights Council (2018-2020) is a testament to our efforts towards this noble objective. I would like to thank all members of NAM for supporting our candidacy to the Council. Among our many achievements, we are especially proud of our media propagating a culture of free speech and respect for diverse opinions. The World Press Freedom Index has ranked Afghanistan as a leader in the region in ensuring a free media. Our reforms in the education sector aims to reinforce the values of tolerance, cooperation, rights of women and of minorities in the curriculum by 2021. We believe teaching the future generations about the principles of solidarity, honest dialogue, and tolerance is imperative to move towards a more peaceful world. In conclusion, I wish to reiterate Afghanistan’s firm commitment to advancing the goals of NAM and urge everyone present here to collaborate and eradicate the barriers that we encounter in our quest for peace and prosperity. Despite the challenges faced by us, Afghanistan, in partnership with the international community, will continue to work on fostering a global dialogue for the promotion of human rights for all and creating a culture of tolerance and peace, as espoused by the founding vision of NAM.